for an incredible adventure- and action vacation ! Freeland is the experimental society of the New Civilization Network, located on a beautiful island in West-Samoa. Note: This Web site is part of a proposal and was written by Joachim (jhs@newciv.org). It is not a statement for the New Civilization Network itself which is an Internet community based on the freedom of choice for their members. Flemming Funch is currently working on a document called HoloWorld (draft). A land for free people who are working together to increase their understanding and happiness. 1. Everyone may decide at any time to terminate these agreements and leave FreeLand. 2. Violation of the PRINCIPLE of FreeLand may cause expulsion from FreeLand. In this case, all refunds are waived. 3. Every FreeLander is on FreeLand solely because of his or her own choice. 4. Every FreeLander is continuously striving to improve understanding of him- or herself. 5. Vision, Principle, and Agreements of FreeLand may not be altered in any way. 6. Housing, information-media and computers are the property of all current inhabitants of FreeLand. 7. Food and other perishable consumption items are exchanged for FreeLand credits and are the property of the wearer. 8. Exchange rates for FreeLand credits are determined by computer-arbitrated value assignments based solely upon demand and availability. 9. Import into FreeLand is unrestricted and encouraged except for arms and addictive, chemical drugs. 10. All property on FreeLand belongs to its current inhabitants. Export of items is considered theft except when explicitly approved by vote and then only for the purpose of International Currency exchange. 1. That every being is unique and is striving for happiness and fullfillment. 2. That someone who is harming or trying to harm another being does so because of lack of understanding and is ultimately hurting him- or herself. 3. That the notions of 'equal' and 'rights' pertain to societies within old paradigms which are using words to suppress the majority of its population for the perceived advantage of a few. 4. That words are just pointers to reality and are never reflecting the complete truth of a circumstance. 5. That everything that can be observed is the structure of vibrations. 6. That there are different levels of perceptions. 7. That there are different levels of viewing structures or abstracted realities which, when mixed, will yield confusion. 8. That every being, unique and with the freedom of choice, has a unique perception of reality. 9. That a unique perception of reality does not imply that other, contradicting perceptions, are false or void of truth. The debt structure is shifting property from inviduals to institutions, namely private banks. Natural resources should be shared by all beings. The current system even allows the 'ownership' on genetic structures in nature, such as trees, certain animal 'breeds', etc, in the disguise of 'patents'. With the monopolizing of professions, a free and fair exchange is severly impeded. There are no restrictions on importing goods, except for arms and addictive, chemical drugs. Export is restricted to goods which were produced in FreeLand, strictly excluding natural resources. All profits from exports go to FreeLand itself, never to individuals or groups. FreeLand's operations are financed by FreeLand tourists, also called guests who contribute, besides the airfare for a roundtrip ticket from Hawai'i to FreeLand the funds for their stay at FreeLand for a predetermined time, for example three weeks. FreeLand guests are also expected to contribute to FreeLand according to their individual skills, be it physical or intellectual skills. A stay at FreeLand is an adventure- and action vacation but nobody will ever be forced to contribute against their own free choice. It is the intention to make FreeLand a self-sustainable environment. FreeLand's housing are integrated into the natural environment of the island as much as possible. From the outside, the island should look untouched. Only certain angles of aerials views shall be able to reveal the presence of housing structures. Their is no invididual property on FreeLand except for certain food items. There is the concept of 'temporary ownership' on products created on FreeLand, although 'exclusive responsibility for the time of creation' would be a better term for this concept. 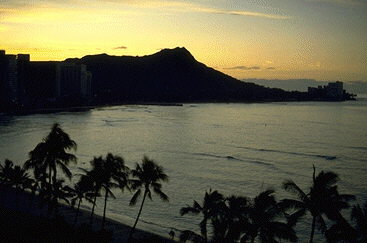 is a bi-weekly air shuttle between Hawai'i and FreeLand.